Wiki: Wagon of Fools by Hendrik Gerritsz Pot, 1637. 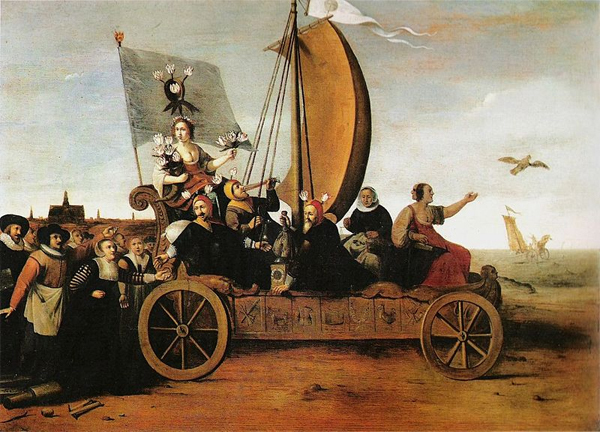 Followed by Haarlem weavers who have abandoned their looms, blown by the wind and flying a flag emblazoned with tulips,Flora, goddess of flowers, her arms laden with tulips, rides to destruction to the sea along with tipplers, money changers and the two-faced goddess Fortuna. 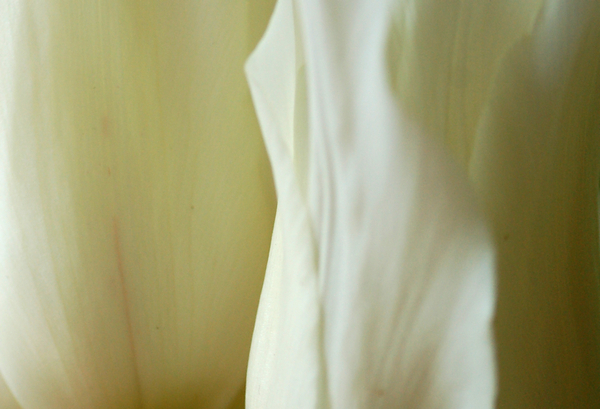 Clusius experimented to produce new color variations in tulips. 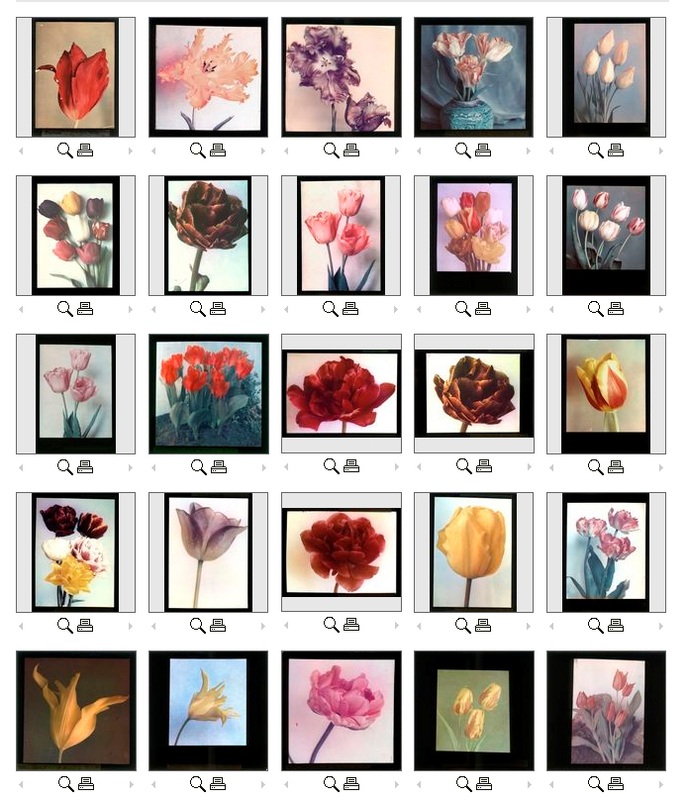 This breeding of tulips with new color combinations had an important effect. The most elegantly and brightly colored of the new tulips became a very popular but costly item. 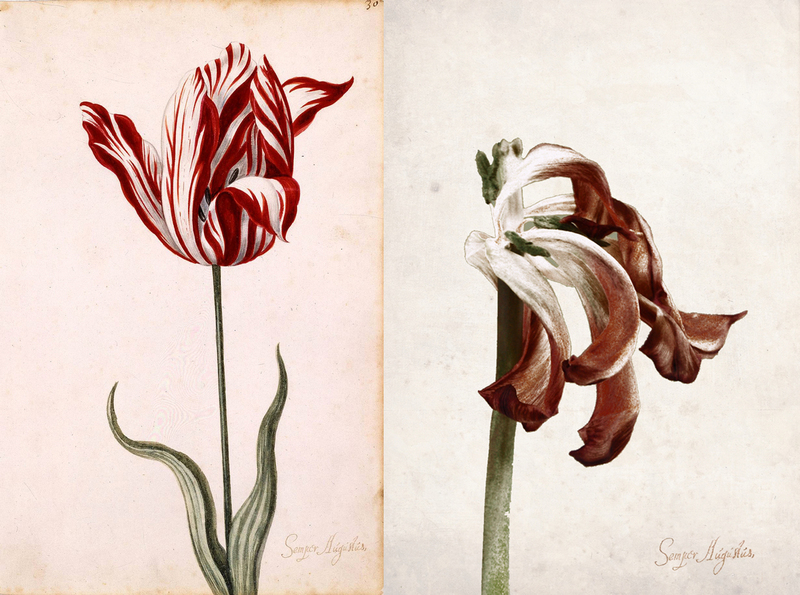 Clusius seems to have looked at the value of tulip bulbs strictly in terms of a scientific perspective. 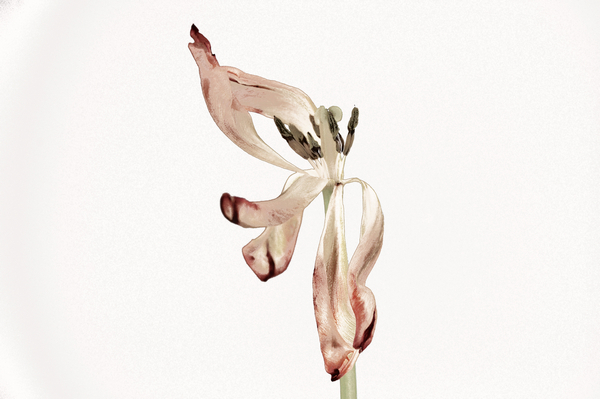 He refused to share his knowledge or to explore the possibility of offering the tulips commercially. But there were people who saw the bulb as a good possibility to make money. They wanted to get some bulbs to cultivate and sell them. But Clusius remained inflexible. He wouldn’t share. Several frustrated persons got together and stole a quantity of Clusius’ collection of tulip bulbs. This was in all probability the start of the Dutch tulip industry. The typically Dutch instinct for horticulture and business skills led to an export oriented industry that today employs hundreds of people and is a major earner of foreign exchange.